Open interactive comparative chart “How frequent is frequent, how rare is rare”. In the EU, a disease is called “rare” if no more than 5 out of 10,000 EU citizens (in other words: one out of 2,000 EU citizens) suffer from it. Nevertheless, it is not infrequent to come across a patient who suffers from one or another rare disease; the organization „Eurodis – Rare Diseases Europe“ estimates that 6 to 7 percent of the EU population are affected, pointing out that it is not just the patients themselves who suffer but also their families and friends. Rare diseases or orphan diseases, as they are also called, exist in all fields of medicine. Whether it is internists, cardiologists or lung specialists, oncologists, infectionologists or eye specialists, ultimately it is all types of specialists who are confronted with the phenomenon. Many orphan diseases are so-called monogenic disorders, i.e. diseases that are based on genetic defects. They include, for example, mucoviscidosis (where, among other things, viscous phlegm gathers in the bronchi), hemophilia (blood coagulation disorder), spinal muscular atrophy (muscle loss due to a neurological disorder) and phenylketonuria or PKU (where protein digestion poisons the patients). They also cover illnesses such as Gaucher’s Disease (GDF) or Fabry Disease where the inability of the body to break down certain substances causes organ damage. This page can at all times be reached via vfa.de/orphandrugs-en. Orphan diseases also include many types of cancer because, fortunately, they only occur rarely. Examples are kidney or pancreatic cancer and all types of leukemia (CLL, CML, AML, etc.). Even if one were to add together patients with all types of leukemia, the sum would still be below the rarity criterion according to which fewer than one out of 2,000 EU citizens are sufferers. Several infectious diseases are also deemed to be orphan diseases. Some occur rarely worldwide such as cytomegalovirus infections (CMV) that affect people with a weakened immune system. While other conditions such as tuberculosis or the parasite sickness Kala Azar occur more frequently in certain parts of the world, they are rare in the EU. They too are considered to be orphan diseases in the EU. In the field of cardio-vascular illnesses, it is above “Pulmonary Hypertension” that has attracted a great deal of attention. This term refers to a group of illnesses where, for various reasons, the blood flow through the lungs is obstructed. This affects the lungs, leads to a lack of oxygen and in addition – due to the build-up of pressure – attacks the heart. Patients who suffer from rare diseases often need to consult many doctors until they get a correct diagnosis resulting in the right treatment; it can take years. While orphan diseases are very different medically, this is something that, unfortunately, they all have in common. While the 20th century only saw the development of few medicines against rare diseases (e.g. hemophilia), pharmaceutical companies have, since the turn of the century, produced considerably more drugs to fight orphan diseases. The development of medicines against rare diseases was, among other things, boosted by the decoding of the human genome at the beginning of new millennium because many rare diseases are genital disorders. Another bonus was the orphan drug laws that were passed in the US and the EU. Hence, since the year 2000, drug projects targeting severe diseases that affect no more than one out of 2,000 EU citizens, can, under certain circumstances be granted the so-called Orphan Drug Status by the EU. It means that the project will receive extra funding prior to being licensed. Following licensing the medicine will, however, only keep its Orphan Drug Status if it proves to be superior to previous therapies, i.e. offers additional benefit. This leads to an extended market exclusivity that not only (as is the case for patents) bans the marketing of other producers’ drugs containing the same active ingredient but it also prohibits the marketing of similar drugs that neither benefit the therapy nor help overcome an otherwise threatening supply shortage. A description of the specific conditions and consequences of the Orphan Drug Status can be found here. The Orphan Drug Status expires in any case, at the latest, ten years after the respective medicines have been licensed. In the last few years, orphan drugs constituted, on average, a quarter of the newly introduced annual medicines containing a new active ingredient (see table 1). These drugs helped to save the lives of patients with pulmonary hypertension, leukemia and other rare types of cancer as well as various genetic disorders or alleviated some of their severe symptoms. The share fluctuates from one year to the next. On average, over the last five years, orphan drugs made up around 27 percent of the new annual introductions. Currently (September 2018) 111 licensed drugs have been granted active Orphan Drug Status; in addition, there are another 45 drugs that had that status in the past (almost all of them are still on the market). The vfa offers a continually updated overview of orphan drugs at www.vfa.de/orphans. For the situation in February 2018, the vfa has analyzed which diseases could be treated with medicines licensed as orphan drugs in the EU and established the following distribution. Here, the chart can also be downloaded as a pdf file. Since there are only few users for orphan drugs, the manufacturers do not tend to generate a great deal of sales even if the price per pack for some orphan drugs is one of the highest in the pharmaceutical sector. 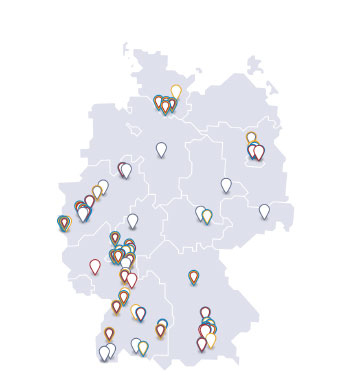 In 2017, for example, 93 medicines with active Orphan Drug Status were prescribed in Germany on an outpatient basis. Their costs were covered by the health insurance companies as part of their overall drug expenditure. The costs of these 93 orphan drugs corresponded to no more than 3.7 percent of the overall drug expenditure covered by the statutory health insurers (GKV). 88 of these 93 orphan drugs cost the GKV less than 50 million euros while the cost of 68 of them was under 10 million euros. These figures have been compiled by the vfa on the basis of data provided by Insight Health. Only under exceptional circumstances did orphan drugs generate worldwide sales of more than one billion US Dollars for their manufacturers. In one case, this was due to the drug being suitable for the treatment of six different types of rare cancer. As a rule, orphan drugs remain absolute commercial niche products. Sometimes a drug that was initially developed for the treatment of an orphan disease is later licensed for the treatment of a more frequent condition. In such cases, the Orphan Drug Status is lifted across the EU and the drug immediately undergoes a new early benefit assessment and its reimbursement conditions are renegotiated (see below). A few times, the reverse occurred, i.e. a substance that had been licensed for the treatment of more frequent disorders turned out to be equally suitable for combatting a rare disease. For example, the active ingredients Sildenafil and Tadalafil, which were first developed to treat erectile dysfunction, are also suitable for the treatment of pulmonary hypertension; the painkiller called Ibuprofen can also be used to treat a heart condition in newborns. In these cases, the producers were only granted Orphan Drug Status because they had used these active ingredients to develop drugs that were specially designed for the rare disease, which clearly differ from other drugs using the same active ingredient with regard to dosage, product name and marketing. The special conditions that apply to orphan drugs can therefore not be used by the respective companies for the development and marketing of a drug used for treating more frequent conditions. As is the case with regard to other medicines, the producer must, shortly after the market launch, submit a dossier to the Federal Joint Committee (G-BA), the responsible body for reimbursement issues in Germany, containing details about the product and its benefits. After the additional benefit has been quantified by the G-BA, the producer needs to negotiate the amount to be reimbursed for the drug with the umbrella association of the German health insurers. The combination of additional benefit determination and reimbursement negotiations is soften referred to as “AMNOG Procedure“ with the acronym AMNOG (Arzneimittelmarktneuordnungsgesetz) referring to the law that, in 2010, introduced early benefit assessments and reimbursement negotiations between producers and health insurers in Germany. As far as orphan drugs are concerned, the AMNOG procedure only differs in two points from that applied to other drugs: In the dossier the producer can, in order to prove additional benefit, refer to the assessment undertaken as part of the licensing procedure because Orphan Drug Status is only granted upon proof of additional benefit and reviewed once more prior to licensing at EU level. And the quantification of additional benefit is carried out by the G-BA itself (i.e. without the involvement of the German Institute of Quality and Efficiency in Health Care (Institut für Qualität and Wirtschaftlichkeit im Gesundheitswesen or IQWiG). If, however, the annual sales of an orphan drug exceed 50 million euros, it is legally treated like a common drug: A normal dossier must be submitted and initiates an early benefit assessment followed by normal reimbursement negotiations. Hence, it is even possible that an orphan drug undergoes the AMNOG procedure twice in quick succession: First in the “orphan version” and subsequently, after annual sales exceed the 50-million-euro threshold, in the normal way. As far as the development and marketing of drugs against rare conditions is concerned, there are time and again misunderstandings and errors of judgment. There is, for example, this idea that Orphan Drug Status is also granted if a medicine is developed against a rare sub-type of a generally frequent disease such as a type of NSCLC lung cancer characterized by a specific mutation. This is, however, not permitted by the Orphan Drug Regulation; and the EMA rejects such applications for the granting of Orphan Status. A publication issued by vfa bio and The Boston Consulting Group looks at the most common misunderstandings. A summary can be found here. Currently (September 2018), around 1,900 further drugs that are being developed have been granted Orphan Drug Status by the EU. A complete overview can be found in the Register of designated Orphan Medicinal Products of the EU. It shows, for example, that as many as nine new active ingredients against the rare Fragile X Syndrome have been granted Orphan Drug Status; they are all still at trial stage. Among the member companies of the vfa, around 14 percent of drug projects in advanced clinical development have the Orphan Drug Status (see Digitorial “New drugs in sight“). The projects are spread across various fields of medicine that include rare types of cancer as well as metabolic and infection diseases. The invention of suitable drugs will, however, only succeed where there is enough knowledge about the disease process at molecular level. In the case of most rare diseases, however, science is not even close. Therefore, it is essential to boost the basic research on rare diseases. To this end, initiatives at national and EU level have been instigated. The development of a treatment alone, however, does not ensure help for the patients affected. What is needed to provide patients with the right treatment are changes on many levels within the health care sector. This is one of the concerns of a range of organizations in Germany, among others the “Allianz Chronischer Seltener Erkrankungen ACHSE“ (German Alliance for Chronic Rare Diseases) that includes numerous self-help organizations that focus on individual diseases. Another body involved is the Nationale Aktionsbündnis für Menschen mit seltenen Erkrankungen NAMSE (www.namse.de) (National Action League for People with Rare Diseases), which ACHSE as well as many other actors in the health care sector and the vfa together with its bio-technology group vfa bio as well as the Bundesverband der Pharmazeutischen Industrie (BPI) (Federal Association of the Pharmaceutical Industry) have joined. On August 28, 2013, an action plan developed by NAMSE was presented at the German Health Ministry in Berlin. The plan includes 52 measures that are aimed, among other things, at improving diagnosis and treatment options for patients suffering from rare diseases. One of the projects is the establishment of specialist medical centers for orphan diseases throughout Germany where patients can be diagnosed and treatment be initiated. Subsequently, patients are to receive further treatment at quality-approved, general and specialist health care facilities in their vicinity. Work is currently being undertaken to set up such centers.